Fake Webcam - Play video as webcam, apply effects on webcam. 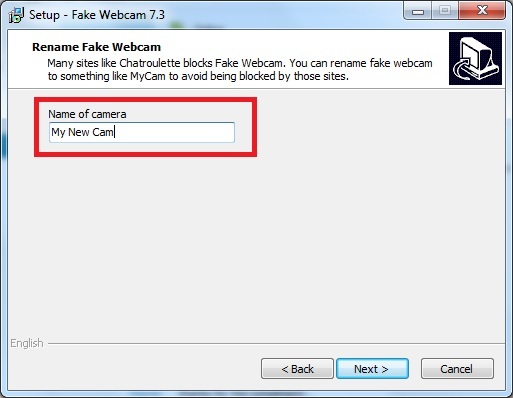 Fake Webcam - how to use fake webcam with chatroulette. 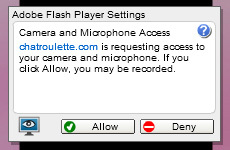 How to make a fake webcam in ChatRoulette and avoid "You are using a prohibited camera"
Chatroulette sometimes does not allow use of fake webcam in its chat rooms. Users get a message "You are using prohibited camera". Chatroulette detects fake webcam by its name. 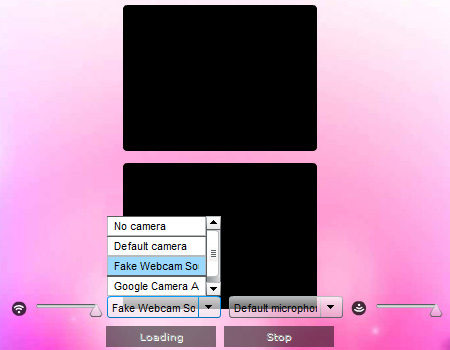 You can simply rename fake webcam to any name you like to avoid this problem. During fake webcam installation, you will get following screen. 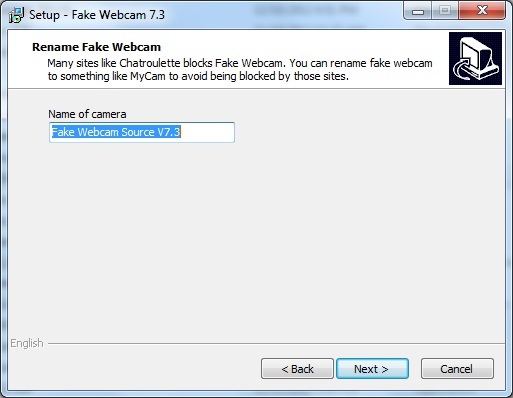 Just rename "Fake Webcam Source V7.3" to any name you like. Click on the 'Allow' button. Now ChatRoulette! is ready to use your "My New Cam". Note: This information is provided for educational purposes. You must use any software and service including chatroulette as per terms and conditions or that specific software and service.